Blog Post List | Hawkeye Ford Inc.
Ford is taking your safety seriously with the launch of their new Co-Pilot 360. 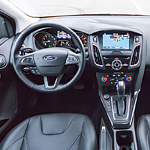 Co-Pilot 360 is a standard suite of safety technology that every Ford will be equipped with starting in 2019. Our team in Red Oak is impressed with how many technologies Ford includes as standard. The Ford Transit is a popular full-size passenger wagon at our dealership for many reasons. Here at Hawkeye Ford Inc. in Red Oak, we make an effort to keep our consumers up-to-date about our vehicles. You can read further to learn about a few technology features of the Ford Transit Passenger Wagon. The 2019 Ford Taurus sedan is a powerful and stylish full-size sedan. 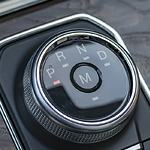 This well-known and popular vehicle offers drivers and passengers a tantalizing list of luxury and performance features. It also offers a number of interior amenities designed to appeal to the senses. 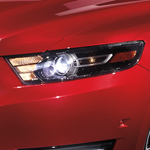 Among these amenities are the 2019 Ford Taurus ambient lighting system. 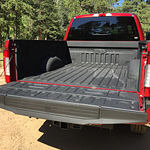 Capable and tough, the Ford Super Duty is hands-down the most durable heavy-duty pickup truck on the road today. The Ford Super Duty outperforms in all aspects of the features you expect from a work truck and does it in style too. Lighter but stronger, the Ford Super Duty features a newly designed body and frame that delivers the largest payload in its class. Say goodbye to tangled wires and connectivity issues. The new Ford Explorer is built for modern drivers in Red Oak. You can get this popular three-row SUV at Hawkeye Ford Inc. with a wireless modem and intuitive infotainment system. 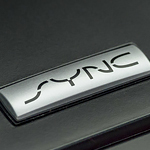 The SYNC 3 system has a lot of great features built in. The touch screen display can be used to switch radio stations, find directions, and so much more. You can even connect your smartphone device. It has BlueTooth technology that transmits data wirelessly. You can leave your phone in your bag and still take advantage of all its technology. For over 20 years now, the Ford Focus has been a car that has been enjoyed by consumers of every kind of stripe and all kinds of different backgrounds. The technicians tasked with designing the Ford Focus continue to outdo themselves, and 2018 is no different. 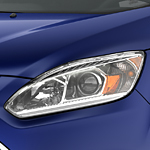 The first thing they sought to maintain a high standard on was the excellent performance features of the Ford Focus. We at Hawkeye Ford Inc. have vehicles for different purposes. One of the reasons that people look for vehicles is for towing. Fortunately, we have a lot of options such as the 2019 Ford Expedition which offers people not only towing capabilities but also towing assistance which will make sure that not only your vehicle but the trailer is safe. Are you looking for an intelligently designed compact vehicle? The Ford C-MAX is a popular compact hybrid. This new Ford C-Max has a smart gauge with eco-guide and push-button smart access. The smart gauge is simple to learn and user-friendly. 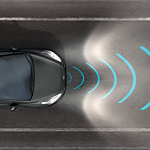 This system teaches you how to adjust your driving habits so that you can maximize your vehicle's performance. The eco-guide helps assist your vehicle with energy history and will improve your overall driving performance. What Capability Features Come With the Ford Escape? 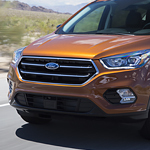 Are you considering the Ford Escape as your next vehicle? The compact SUV is one of the best in its class because it offers a variety of amenities. With the Escape, you can choose between four trims that include the S, SE, SEL, and Titanium. At Hawkeye Ford Inc., we keep our Red Oak consumers informed about our models to help them make the best purchase for their needs, so you can read further to learn more about the capability features of the Escape.